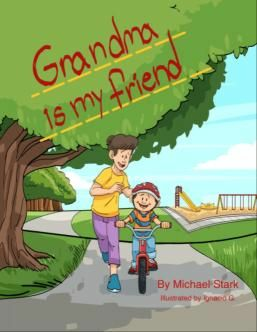 Timeless story in the style of "The Giving Tree" by Shel Silverstein and "Love You Forever" by Robert Munsch about a boy and his Grandma. As grandma ages, the boy notices some subtle changes. But through it all their love prevails! The best tool for parents and children experiencing Alzheimer's and dementia in their lives! Timeless early reader children's book in the style of "The Giving Tree" by Shel Silverstein and "Love You Forever" by Robert Munsch. This instant classic follows the journey of a boy an his Grandma though life. Through it all the boy and his Grandma show what true friendship means. Amazing and colorful illustrations keep the readers coming back again and again!